Yesterday was the last day of my younger son's high school career. It's done. Six years, we've been part of J.E.B. Stuart High School. And with our departure comes the end of something else: the end of Stuart as a high school. After a very public debate that pressed out into the national conversation about the Confederacy and it's strange place in our history, the name is gone. 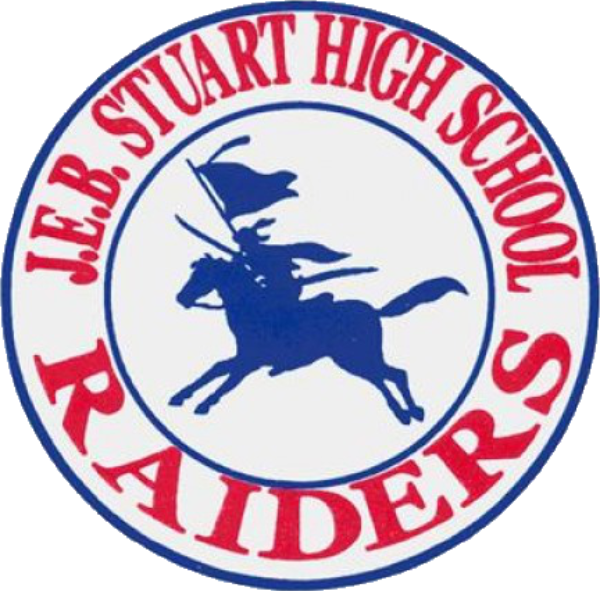 The class of 2018 will be the last class to graduate from JEB Stuart high school. I'm fine with that. Utterly at peace with it. It was kind of weird having a school named after a guy who burned and terrorized his way through Northern Virginia, the 19th century equivalent of one of those masked street gangs on dirtbikes and ATVs, only with swords, rifles, and explosives. All for a good cause, though, right? Cough. In an odd serendipitous moment, I encountered Stuart in my reading this last week. The book was KILLER ANGELS, a wonderful work of tightly researched historical fiction from the early 1970s. It's the Pulitzer Prize winning story of the battle of Gettysburg, told from a variety of different perspectives. That battle is the point at which the Confederacy lost the Civil War. Lee's great ambitious gambit to isolate Washington and rout the armies of the United States of America? It died on those bloody fields. And JEB Stuart played a surprisingly large role in that battle. Stuart's cavalry was sent ahead of Lee's armies. His specific orders were to reconnoiter through enemy territory, and to let Lee know where the armies of the North were and where they were moving. With that information, Lee could isolate smaller units and destroy them. With that information, Lee could pick his ground, choosing where and when to fight. Given those insights, Lee, who was...our contemporary #twitter revisionism aside...one of the most brilliant generals of his age? He'd have had a very real chance of inflicting enough damage to force an early peace. But Stuart didn't do his job. He raided. He harassed. He and his cavalry stormed about attacking Union facilities in Pennsylvania, doing pretty much what he'd always done as he trounced his way through NoVa. It was exciting and daring! Men on horseback! Outlaw cavaliers! Go raiders! What JEB Stuart did not do was send intelligence back to Lee. Not anything. Absent the information he needed, Lee was forced to move blindly, and got hung up at Gettysburg, where outnumbered Union forces took advantage of superior and highly defensible ground. It was not the fight Lee wanted, but his hand was forced. JEB Stuart didn't show up until day two of the battle, after the first ferocious effort to dislodge the Union forces had barely failed. With the Union Army now being reinforced and the situation growing desperate for the Confederates, Lee was petitioned by several of his generals to court martial Stuart for dereliction of duty. Needing every last man, including Stuart's fiercely loyal cavalry, Lee demurred. But the damage was done. The CSA forces were routed in an appalling bloodbath, their first significant defeat of the war. And the momentum shifted in a nontrivial way. All thanks to JEB Stuart. So, in a very real way, it could be argued that Stuart lost the Civil War. By not doing the right thing at the right time, by choosing to focus his energies on doing what he was used to doing and/or that which felt good rather than the thing that needed to happen at that point in history? The entire secession effort failed. It's a good reminder, and a nice little lesson. So thanks, James Ewell Brown Stuart. Thanks for six years of high school, and the reminder of how important it is to do the right thing at the right time.